As we mentioned in a previous article, Rampersad’s Hot & Spicy Roti Shop is offering Winter Bites Culinary Week customers something they never had in previous years of the restaurant week: a vegan option. 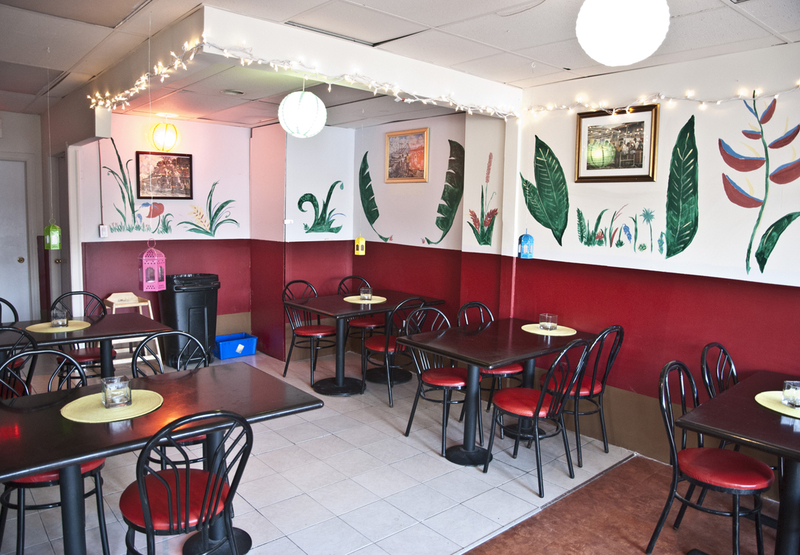 Rampersad’s Roti Shop is Windsor’s only authentic Caribbean restaurant which offers a variety of Caribbean meat and vegan delights. They also use local meat and produce to create delicious Caribbean classics. This goodie is served with mango chutney for dipping and is a vegan dish. Another vegan dish offered by Rampersad’s. Curry spiced potatoes and chick peas with tamarind sauce and cucumber chutney wrapped inside a roti skin. We’re keeping this selection all vegan. Well worth it, too. Both the lunch and dinner Winter Bites Culinary Week menus from Rampersad’s Hot & Spicy Roti Shop can be viewed here. The Rampersad’s lunch menu is $10 per person and the dinner is $25 per person. Reservations are strongly recommended.